This is Part 1 of our New York Food Adventures! Check out the rest here! Recently AngryRussian and I headed to New York to attend the wedding of one his best friends. Needless to say to were pretty excited for this trip and promptly researched places to eat when we’re there. AngryRussian received a recommendation from an older couple that he sees all the time at Whitecaps games for La Villetta. The couple told him that they go to this restaurant every time they’re there so reservations were made and we went there for dinner on our first night. The place was packed when we arrived for our reservation at 8:00pm. Good thing we had reservations so we had a seat right away. 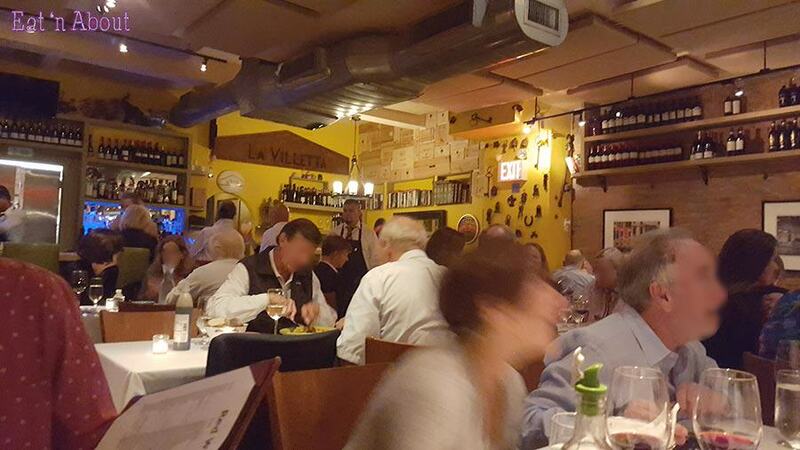 The place was bustling and the tables were close to each other. There seems to be lots of locals too. 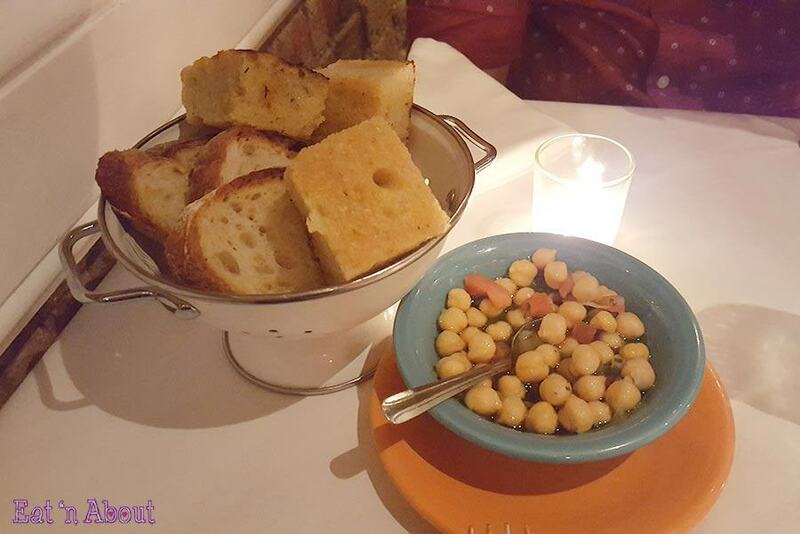 After ordering we were given some ciabatta and focaccia with a weird chickpea in olive oil dip. I don’t like the texture of chickpeas so I just dipped my bread in the olive oil and that was good. 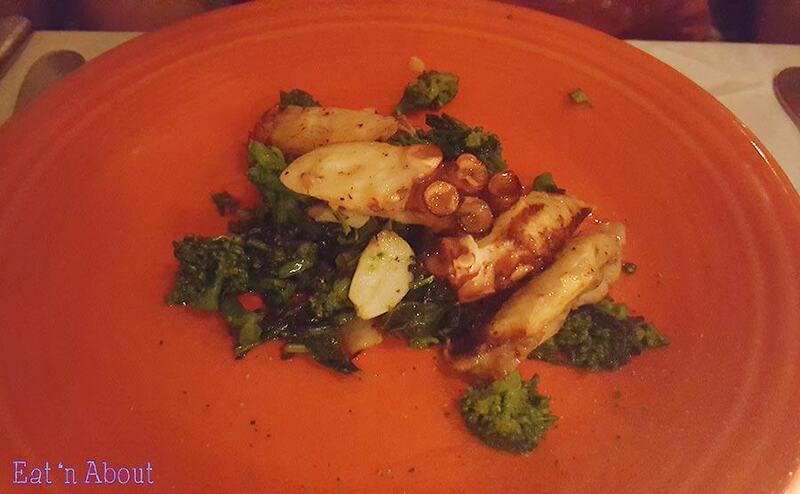 We decided to share the Polpo alla molese ($19.50 USD) appetizer (grilled baby Octopus with broccoli rabe sautéed in garlic and oil) as I just love grilled octopus so much and AngryRussian usually lets me have what I want. They’ll split the dish for you if you’re sharing. Oh my this was so good. The octopus was super tender and you could cut it with a fork. It reminded me of the octopus I had at L’Abattoir and Chill Winston (now closed). I only wished there were more pieces. The rabe was garlicky and retained a slight crunchiness. 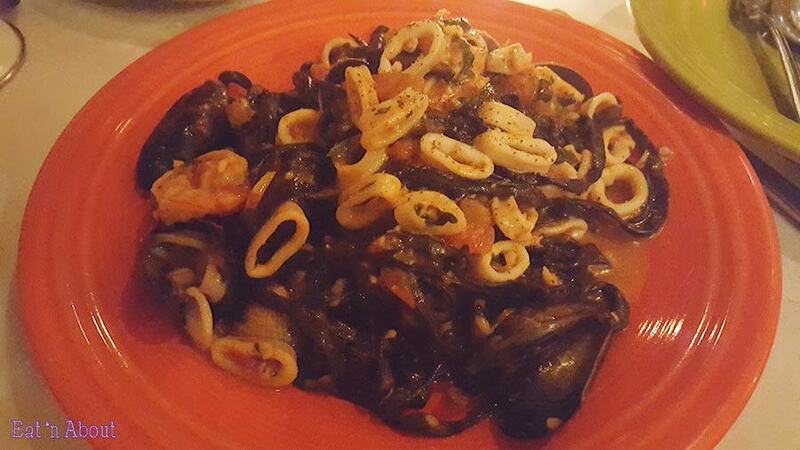 For my main I got the Tagliolini Al Nero Di Seppie ($25.50) which is black ink Tagliolini with mixed sea food in spicy tomato sauce. There was SO. MUCH. SEAFOOD. in this dish. I’m not complaining. But it was so good. The tagliolini could be cooked a bit more as I felt there was still a slight crunch, so not exactly al dente. However the sauce was really yummy and overall this pasta dish was very very tasty and I do not regret anything. AngryRussian had the Rigatoni Norcia ($19.50) which is rigatoni pasta sautéed with sausage and mushrooms in pink sauce. The huge basil leaf on top really added its aroma to the dish overall when wilted by the heat and teared apart. 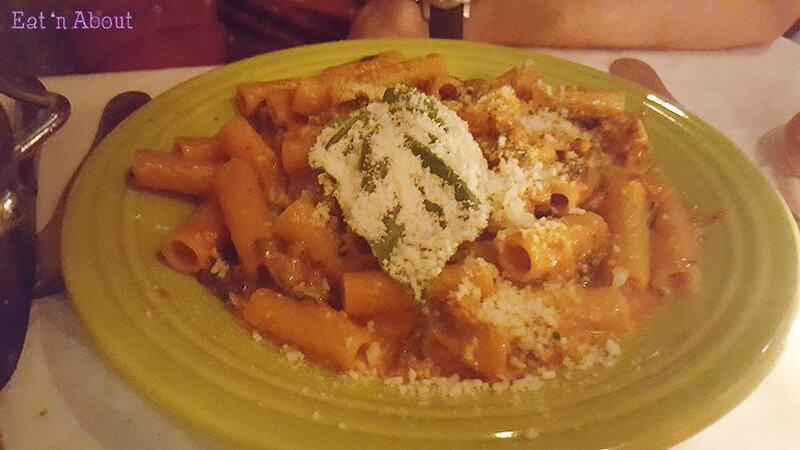 The rigatoni was more tender and al dente here. This was delicious also. 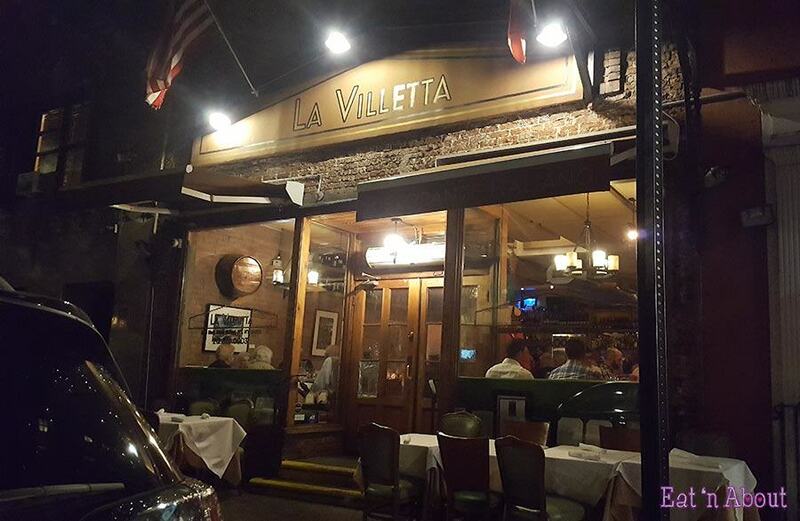 La Villetta was a great recommendation and we’re both really glad we gave it a try. The prices are slightly high but that’s due to the exchange rate, but we certainly didn’t feel ripped off. Plus the portions were really big and we were both able to pack our leftovers to go and had it for breakfast one day.